ADHD & Alcohol: How Are They Related? How Long Is Our Intestine? Hangover Anxiety: Feeling Down After Downing Alcohol? Not having proper sleep at night can really affect your daily routine. It can upset your internal clock and make you feel drowsy and sleepy during the day. Moreover, it can also cause concerns for your health and emotional stability as well. Sleeplessness can be caused either due to stress or because of sleeping problems. If it is of a temporary nature then there is nothing to worry about, but if it lasts for a long period of time then it becomes necessary to learn about the symptoms of your sleeping problem and how to handle them. Sleeping problems can be of many different types and can have a number of varying symptoms. The following are some of the common types of sleeping problems that can affect your sleeping patterns. 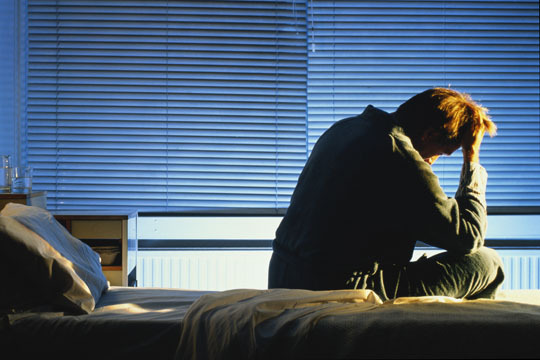 Insomnia is a common sleep complaint in which the person finds it hard to get some sleep. It is usually caused by an underlying condition or problem like anxiety, stress or depression. Insomnia also sometimes results from drinking too much coffee or taking some medications. The symptoms of insomnia include difficulty in falling asleep, fragmented sleep, waking up many times during the night and feeling sleepy throughout the day. Sleep apnea. Sleep apnea is characterized by stoppages in breathing during sleep because of blocking of the upper airways. It can cause you to wake up several times during night. Its symptoms are loud snoring, frequent pauses in breathing while sleeping, gasping for air while sleeping, feeling sleepy or exhausted even after having a night’s sleep and waking up with a headache. Restless legs syndrome (RLS). Restless legs syndrome (RLS) is characterized by irresistible movements of the legs during sleep. The symptoms of this sleep problem include sensations in the legs along with a strong compulsion to move them, cramping of the leg while sleeping, temporary relief from the sensations when the legs are massaged and an increase of the sensations in legs when you get in a resting position. Narcolepsy. Narcolepsy is characterized by extreme sleepiness during the day. It is caused by a flaw in the brain’s structure that controls the sleeping and waking cycles. Its symptoms are hearing or seeing things when feeling drowsy, beginning to dream even when half-asleep, having sharp dreams, inability to move when waking or sleeping and feeling sudden weakness when experiencing emotions. Insomnia caused by jet lag. Jet lag or insomnia caused due to flying between time zones is a common sleeping problem which occurs because of a disruption of the circadian rhythm. The symptoms of this sleeping problem, such as headache, stomach problems, fatigue, become more intensified if your flight is long, or spanning multiple time zones. Lack of synchronization in work and biological clock. If you work in the night shift, then you are most likely to have lack of synchronization between your work timing and your biological clock. This is one of the most common sleeping problems. Postponed sleep. Postponed sleep is a sleeping disorder in which normal sleep timings get delayed, resulting in late night sleeping and waking up late in the morning. This sleeping problem can be hard for you to function during the day. Make a schedule for sleeping and stick to it. This can help you in getting a good sleep at night. Make sure that you go to sleep and wake up around the same time, even on holidays or weekends. This regularity will help in reinforcing your sleep-wake cycle. Develop a routine or a ritual before going to bed. This is going to help you in telling your body that it is time to go to sleep. You can either choose to read a book, take a shower or listen to some relaxing music for this purpose. Make your room as comfortable as possible. This could help you sleep comfortably as well. Create an environment that is conducive to sleep. Moreover, choose a comfortable pillow and mattress to sleep on. If you have pets, it is better to not let them sleep with you. Perform some physical activities or begin an exercise regime. Doing regular exercise can promote good sleeping patterns. However, make sure that you do your exercising during daytime and not before going to bed, or you will be too energized to go to sleep. Don’t eat or drink too much before going to bed. It is going to make your uncomfortable and would result in regular trips to the bathroom during night. Also, avoid the use of tea or coffee before sleeping as they contain nicotine and caffeine that are enemies of sleep. Try to avoid sleeping during daytime. Make sure that your afternoon naps are no longer than 10 to 20 minutes. If you work in the night, then you will have to sleep during the day, so keep your windows covered and avoid sunlight, or it will reset your biological clock. Stress is not healthy for sleep. If you have too much on your mind, then you are not going to fall asleep easily. So, try to manage your stress and before going to bed, take everything off your mind and try to relax yourself. You are bound to have a sleepless night once in a while. However, if you keep on having sleepless nights for more than a week then it is high time for you to see a doctor.